The Head Xtreme soft overgrips have good absorption and grip and are considered one of the best grips available. High-tech manufacture, pioneering design and superior materials go into all Head's grips and accessories, providing the most secure grip possible, effectively counteracting twisting and slipping of the racket in the player's hand. Head grips ensure the best performance in all game situations. 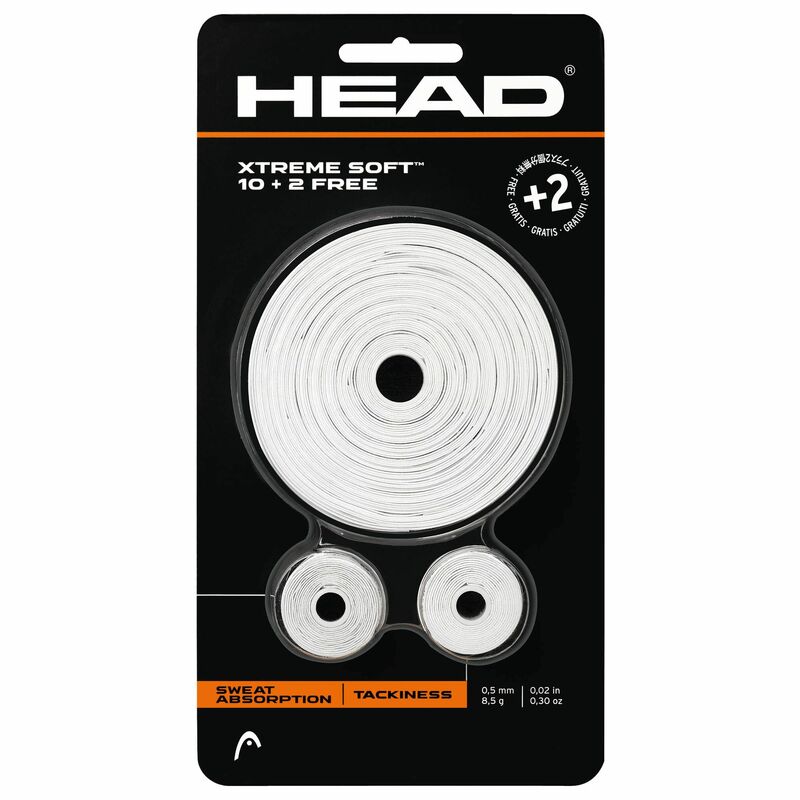 for submitting product information about Head XtremeSoft Overgrips - White We aim to answer all questions within 2-3 days. for submitting product information about Head XtremeSoft Overgrips - White. We aim to answer all questions within 2-3 days. If you provided your name and email address, we will email you as soon as the answer is published. Very good. Where’s my second order. Is it in stock yet? The Head grips are excellent as they maintain their tackiness much better than the Wilson alternatives. The grips are great as they hold their tackiness longer than other makes which makes them superior! I use them for both Tennis and Racketball with great success. I have recommended them to my opponents but that is probably not a great step as I need every advantage I can get. Cost wise they are comparable with other makes but as they last that bit longer they are value for money. for submitting product review about Head XtremeSoft Overgrips - White.